It was Tina’s turn to give the presentation in the business meeting. Confident and excited, she approached the podium. All the eyes were fixed on her. As she started speaking, she could hear something growling inside her. Ignoring it, she explained the statistics at the projector. Then came the sudden loud rumble. From the look on their faces, Tina knew that everyone else had heard it too. She tried hard to hush the voices inside her, but they kept coming back; louder than ever. In fact, it was so loud that it was clearly audible in the quiet atmosphere of the boardroom. The noises robbed her of her confidence and she started to fumble in her presentation and lost her composure. Embarrassed to the hilt, she wondered why did that had to happen at such a crucial situation. On the verge of crying, Tina suddenly found one of the board members coming to her rescue. Dr. Ajay handed her a sandwich and told her not to worry. Taking over the mike he addressed the gathering and proposed a tea break to give Tina some time. He said, “Ladies and Gentlemen, its just Borborygmi”. It was what? Was it some ailment? Tina wondered. When she went back home that evening, Tina was determined to look up the meaning of the word. 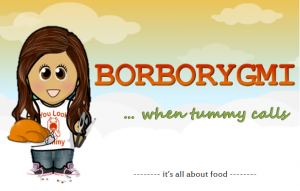 She read, Borborygmi, is nothing but the medical term for the rumbling or growling sounds of the stomach. The term comes from the Greek word Borborugmos, an example of onomatopoeia (i.e. a word created to imitate a sound). She met Dr. Ajay the next day and got further clarification that the noises were due to the movement of air through our digestive system. The muscle contraction of the stomach and intestine, move and push the food by a process that is called Peristalsis. The occasional “peristaltic rush” may be heard as intestinal contents are moved some distance. Dr. Ajay stated that it is the intestine which makes most of the noises and not the stomach. Dr. Ajay then explained the various reasons for the growls. He explained that the digestive system is at work even when we do not eat. The basic electrical rhythm or BER is controlled by the enteric nervous system or the gut nervous system. Around two hours after the stomach has been emptied, these nerves, signal the brain to restart the peristaltic wave called the MMC or Migratory Motor Complex. The contracting muscles clear any leftover food particles in the tract, so that one can intake the next round of food. These muscle contractions, the presence of gas in the digestive pockets and the clearing of the leftover food cause the rumbling sounds. 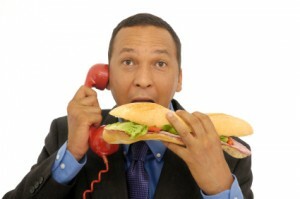 The presence of food muffles the sounds, which explains why the sounds fade away as soon as we eat something. But, hunger is not the only reason for the growls. The noises can be heard even when the stomach is full. Poor absorption is another major cause which leads to the production of gas in the intestines. He said that it could be also due to a number of reasons like a rich carbohydrate diet, lactose intolerance and foods like beans or high fiber grains that are difficult to absorb. Lactose intolerance is the most common reason. 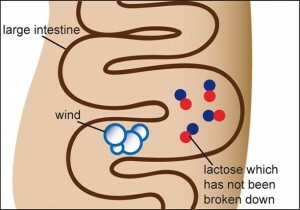 Our body does not have ‘lactase’ enzyme which degrades lactose. As a result the friendly bacterial fauna of our gut break it down and liberate gas, giving rise to the sounds. Other foods like fructose, a sugar that can be difficult to absorb, and artificial sweeteners or diet sodas also result in gas production and induce rumbling. It is the swallowing of excessive air while eating. Eating at a very fast rate, talking while eating or improper chewing of the food may lead to swallowing of large amount of air. This air when passes through the digestive tract can also make the intestines growl. As Dr. Ajay went about explaining about the sounds, Tina remembered her grandmother telling her not to talk while eating and to eat smaller and frequent meals. She now understood that there was a scientific reason behind it. The sandwich that Dr. Ajay had given her had muffled the growls. She was thankful to Dr. Ajay for saving the day and also clarifying the reasons for the awkward phenomenon. Eat smaller and frequent meals. Reduce the amount of sugar, aerated drinks and dairy products.